Churches and other places of worship are frequent targets for burglars, which means that taking measures to increase security is something that is undeniably necessary. The fact that these sacred spaces should never be the target for crime is the very reason that so many of them have insufficient security. This makes them all the more vulnerable to theft and vandalism. Installing security systems is a necessary evil, and at Ivanco, we encourage churches and other places of worship to consider custom commercial security systems that include the use of CCTV, or Closed Circuit Video. By doing so, you’ll have monitoring of the premises as well as recorded evidence of anyone who breaks in or commits an act of vandalism. They are also effective tools in preventing crime from occurring in the first place, as their presence is a deterrent to criminal behavior. Criminals who know that certain churches are under surveillance are more apt to leave those facilities alone in favor of seeking out properties without CCTV systems. CCTV is also invaluable in other ways. In the event that someone makes claims of having an accident on the premises, you will have footage of the incident to prove or disprove the claim. CCTV systems are versatile and can be installed both in interior spaces as well as the exterior area to monitor activity. Having cameras in areas that experience a high volume of traffic, such as entrances as well as gathering rooms, can be extremely beneficial in providing your church with information regarding potentially suspicious activity and help prevent a situation from escalating into something criminal. 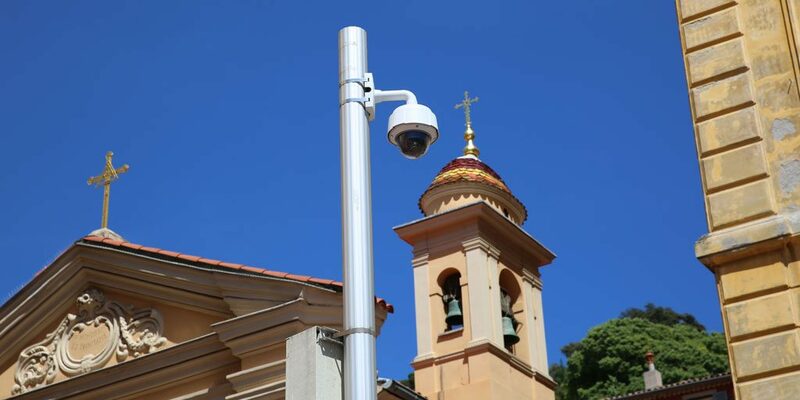 Of course, CCTV alone is not enough to safeguard your church against crime. You’ll need to install an alarm system to monitor for fire and burglary, as well, but systems can be fully customized to meet the specific needs of your church. Call the team of skilled technicians and security experts at Ivanco, Inc. to learn more about how our customized security solutions can benefit your church today!